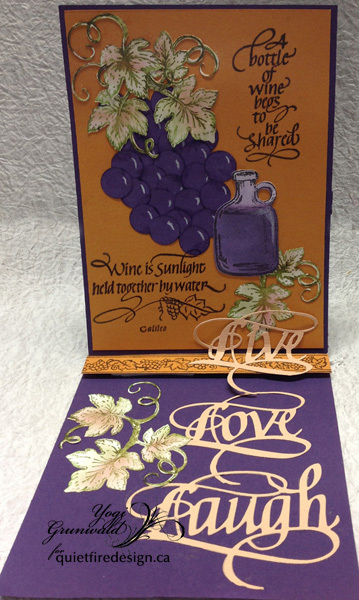 Scored and folded my purple toned cardstock to create the easel, and another piece the same size as card for the front. Cut a slightly smaller piece from a Pumpkin toned cardstock and adhered to front. 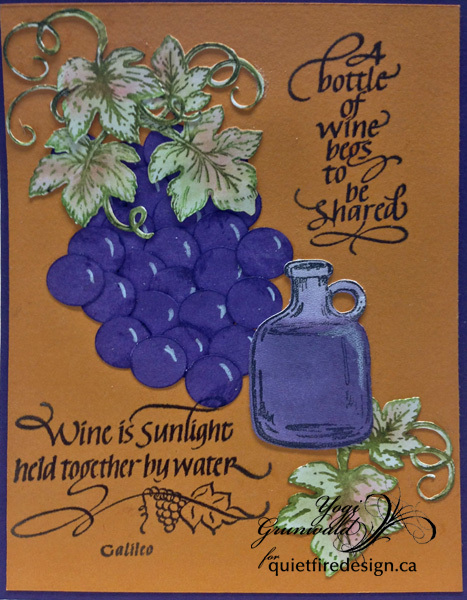 Created the grapes by punching out circles from the purple cardstock, inking the edges of each with a Distress "Dusty Concord" mini pad, adhering them in place and then using a white Prisma colored pencil for the highlight mark. Created an electronic cut file of the leaves, jug and various other elements from the sets (Heartfelt Creations "Jars and Vines"; "Italiana Grapevines"). 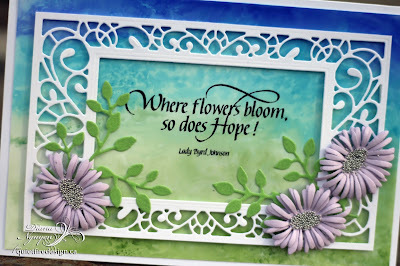 Cut from white cardstock and inked with Distress pads, blending colors with a wet paint brush. 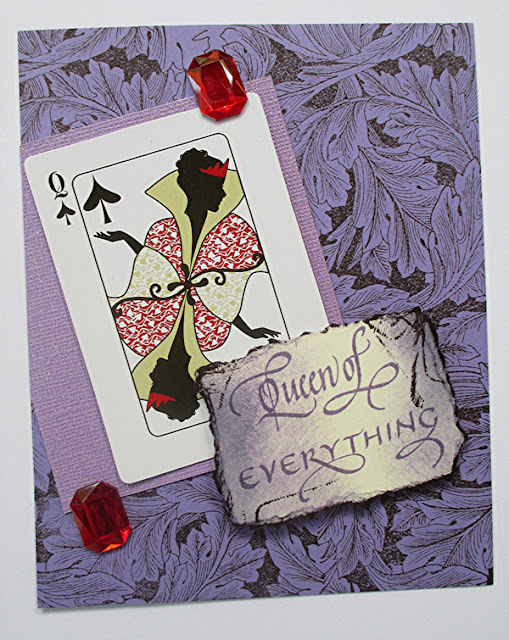 Stamped the quotes using Versafine "Imperial Purple" and clear embossed. 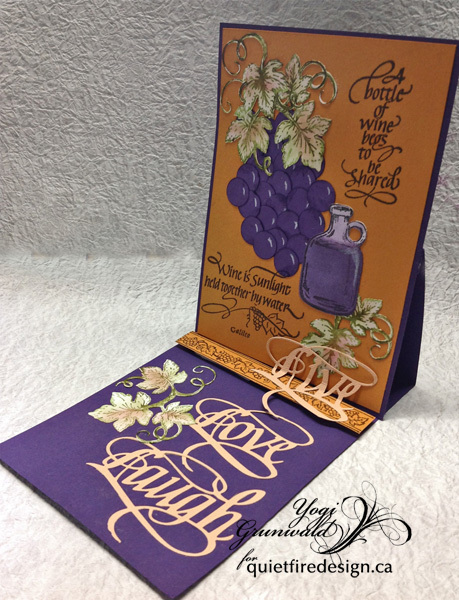 On the floor: Stamped the border of grapevines (Heartfelt Creations "Italiana Grape Borders") with the purple, clear embossed on the pumpkin cardstock. Trimmed down and adhered to floor with 3D foam tape to act as my stopper. Die cut the words from a light peach Bazzill Monochromatic cardstock. Adhered the "Live" to the stopper and the other 2 words on the floor. Added a sprig of the grapevines. Please contact me by September 30th to get your prize! Thank you to everyone who joined us and left wonderful comments! See our newest products in our What's New department. and of course, here on our blog! 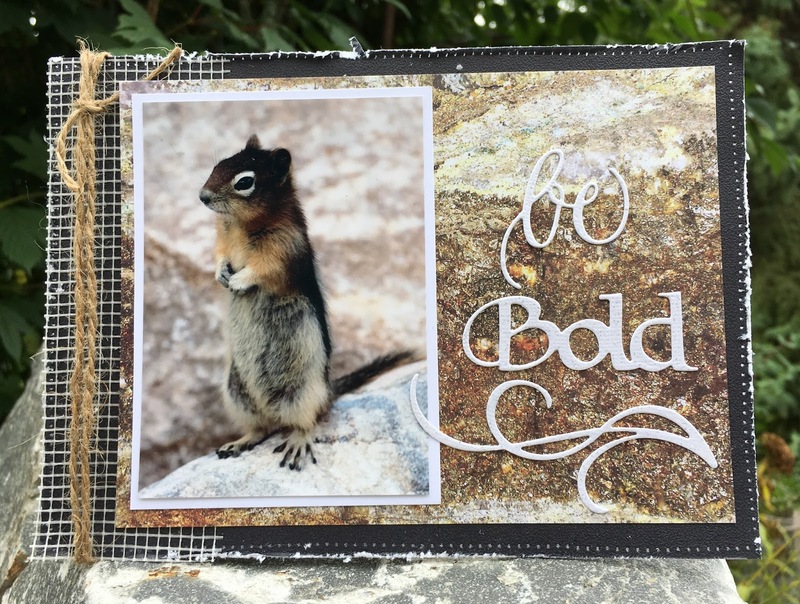 Hopefully these examples inspire you to make some cards from photos in your stash. Imagine the possibilities! Here's the new dies I used. They are all available from the Quietfire Design online store here. The background is using photo paper with Tombow markers (see this post for a video of how I did it). I trimmed very skinny strips of foam tape to pop up my frame and made some Elizabeth Craft Designs Asters and Leafy Branch to go with my sentiment. Thanks for looking and I hope you have a wonderful day! Welcome to our Quietfire blog and thank you for stopping by to see what is new today. 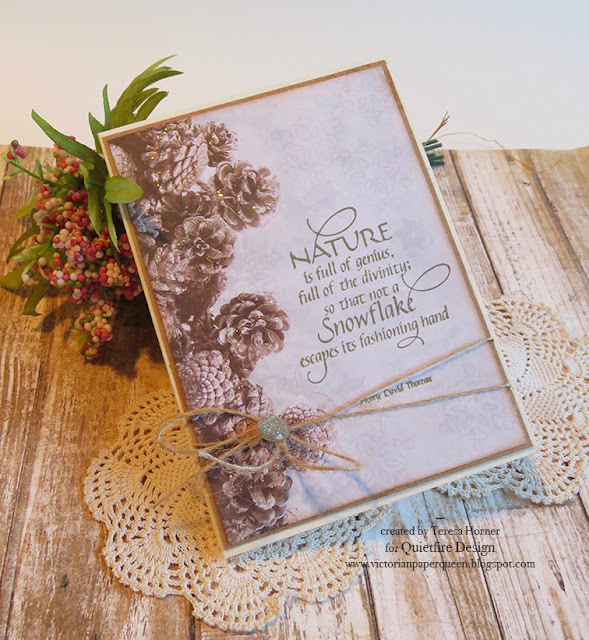 I used a brand new rubber stamp called "Nature is full of Genius" to create a really simple card on printed card stock and i am really happy with the way it came out. The paper is a new winter paper from Kaisercraft and it has those pinecones on both sides so i thought how fun to just cut half of it off and then stamp my image in a nice light brown to go with it. 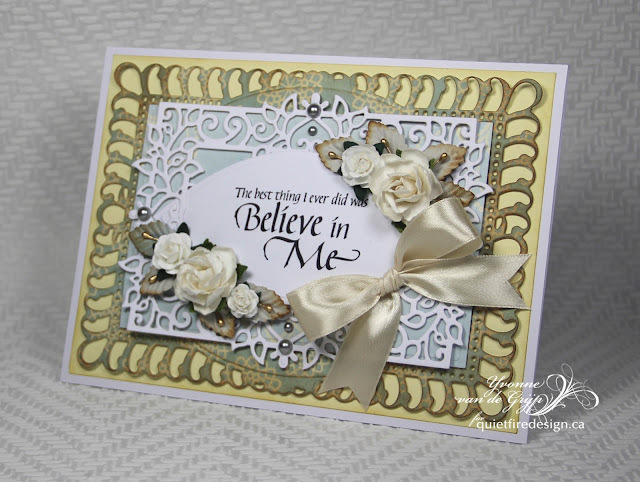 Then i put a kraft colored paper behind it to make it stand out and then put that on an ivory card. Super easy right? And since i am mostly about texture i thought i would add a few diamond Stickles on the pinecones to make them pop out more and tied a bit of twine across the bottom into a bow. It's simple and easy and i can pretty much send it to anyone just to let them know i am thinking about them. 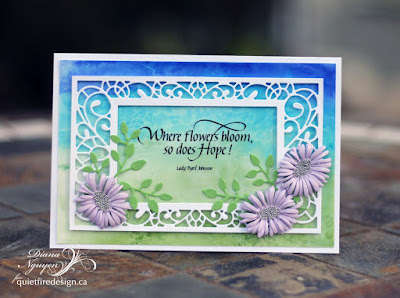 Here is a quick link to the new stamps for you: "Nature is full of genius"
Welcome to our blog hop with CardMaker magazine! I hope you're enjoying our hop! If you're new to Quietfire Design, please feel free to look back through our Quietfire Creations blog where our Design Team has lots of wonderful and diverse projects for your creative inspiration. 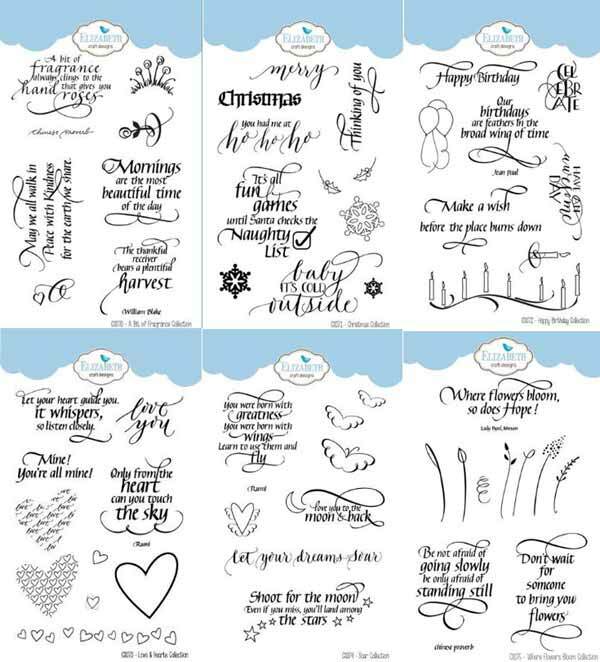 I'm Suzanne and I'm a calligrapher and love to design stamps and dies and digital files with a calligraphic flair for your enjoyment. 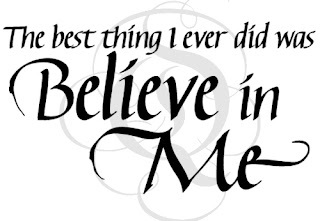 Please feel free to follow our blog - sign up is >>>>> this way in the sidebar! 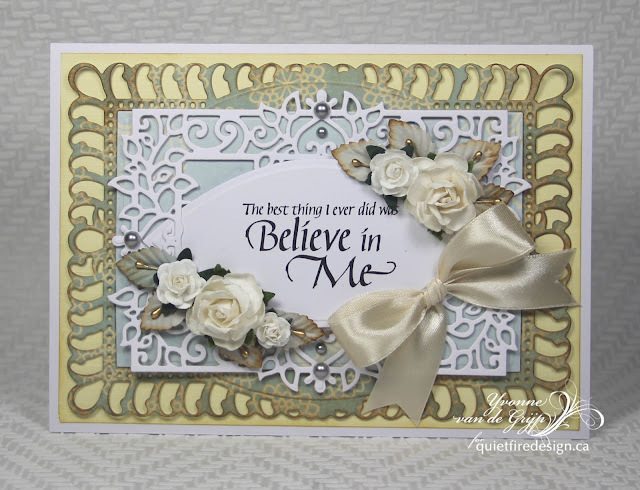 I'd like to thank CardMaker Magazine and their Designers for sharing their time and creativity with us. It's very exciting! CardMaker is a joy to work with! 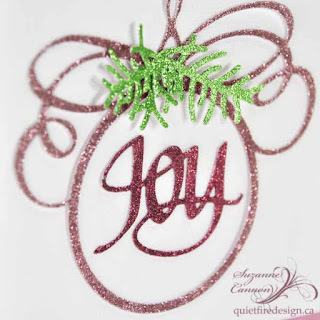 I want to share this project with you using one of the brand new Quietfire dies and bring a little Christmas sparkle to your creativity. Form a side-fold cardbase from Tutu Pink measuring 5 x 7-inches. 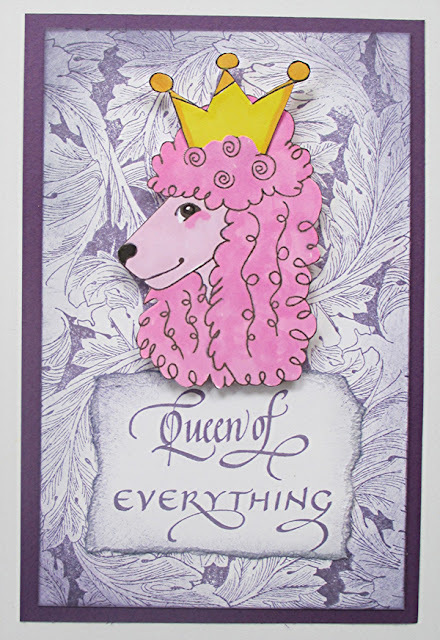 Cut a panel measuring 4 x 4-inches in Tutu Pink and mat it with a slightly larger panel from Vintage Pink cardstock. Die cut the flourished Ornament, Joy and the sprig from white cardstock covered in a double sided adhesive sheet on the front of the diecuts. 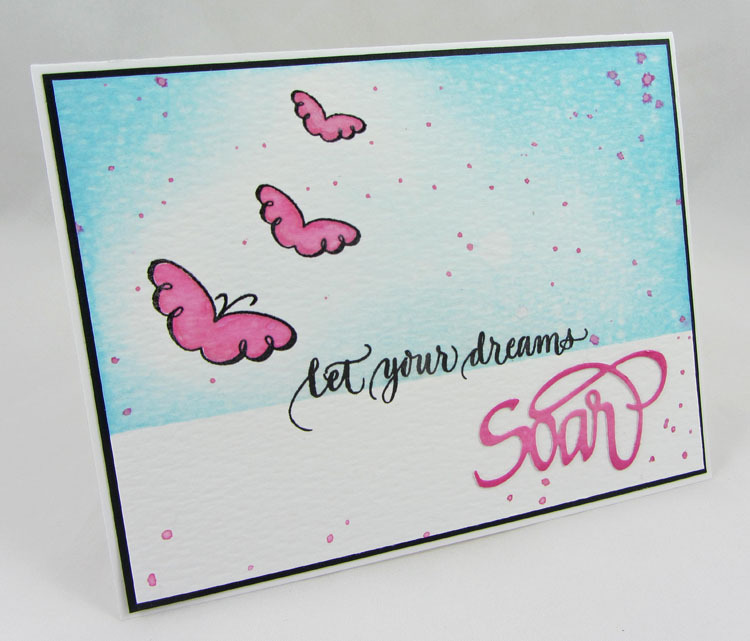 Remove the release paper and apply glitter, then rub the glittered surface to bring out additional sparkle. Attach the diecuts to the pale pink panel as shown using micro dots. Designer Tip: Roll the dots between your fingers if you need them to be even smaller. 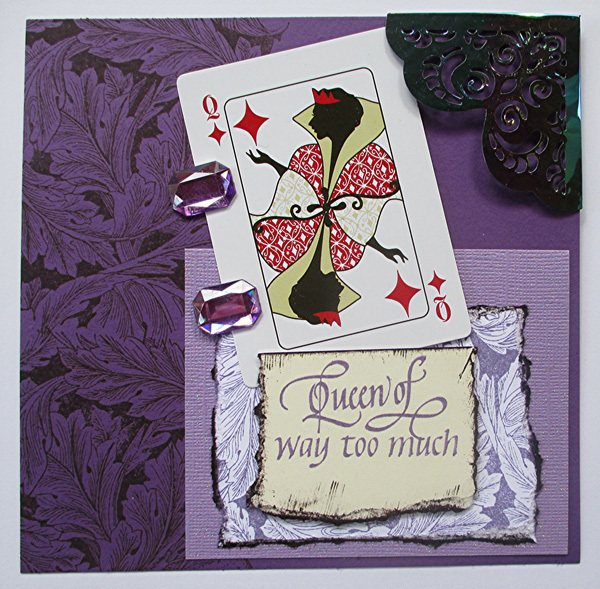 Attach this panel to the vintage pink panel and mount them on the card base using foam squares. 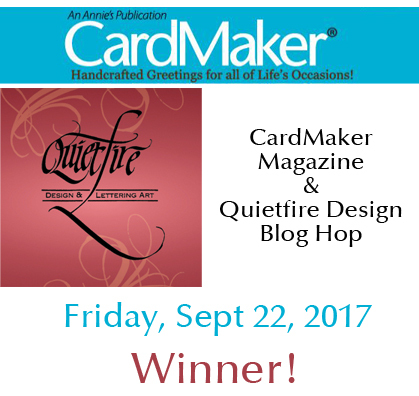 Make sure you leave a comment on every blog because there will be a $50 Quietfire Gift Certificate awarded randomly to one lucky commenter! All comments should be made by midnight PST on Sunday, September 24, 2017 and the lucky winner will be announced within a few days! Good luck! And thank you so much for joining us! Yvonne here sharing a card made with one of the latest Quietfire Design stamps "The best thing I ever did was Believe in Me"....such a gorgeous quote! Since I don’t have any Halloween Elizabeth Craft Designs product, this month’s Designer Challenge Halloween theme really was a challenge for me! Here is how I overcame the obstacles! Ghosts are just shapes, right? Elizabeth Craft Design Products: Elizabeth Craft Designs, Inc.
1. 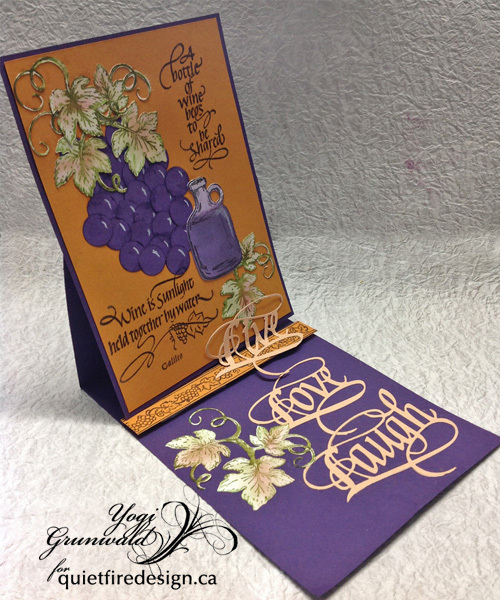 Form a side fold card base from an 8.5 x 11” sheet of black cardstock. 2. 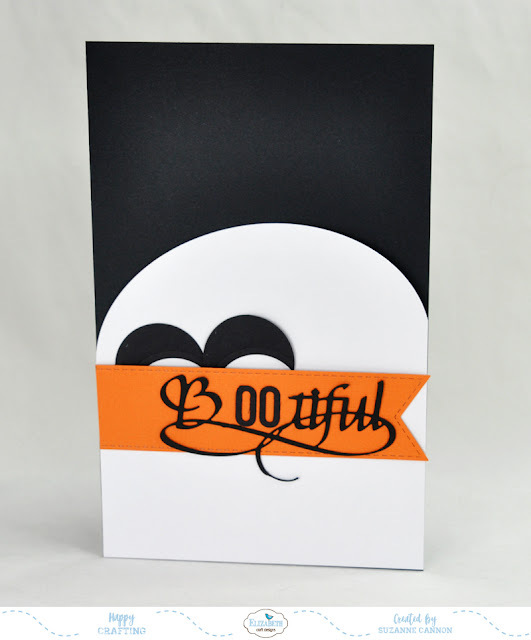 Die cut Beautiful from black cardstock as well as the Alphabet 1 Caps. Die cut the largest Fitted Oval from white cardstock and cut in half. Die cut the second largest Fishtail Banner from orange cardstock. Cut a rectangle from white cardstock measuring the width of the card base and about 1/3 of the card face in height. 3. Die cut two of the smallest Fitted Circles from black cardstock and then overlap the same die and die cut the circles in approximately half. These crescents will be the laughing eyes of our ghost. 4. Surgically remove “eau” from the Beautiful diecut with a craft knife. Adhere “ b---tiful” on the banner and glue two “o”s from the Alphabet 1 Caps in the blank space. 5. Adhere the large oval to the cardbase. Trim overhanging bits. Adhere white rectangle below it with no gap. Position the banner across the seam and adhere. Trim any parts of the card necessary. 6. Add the crescent eyes as shown. 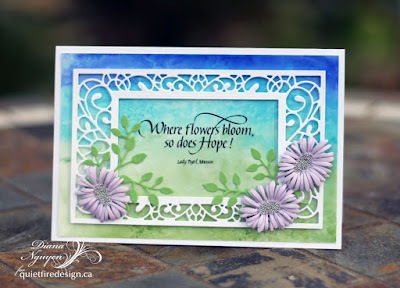 New Dies, New Stamps & A Sweet Project! Wanda is going to share a project in a minute, but without further ado here are the new dies! You can find all of these products on the Quietfire website today in the What's New Department. In addition to all this bumper crop of dies, I'm simply delighted to share something completely new. 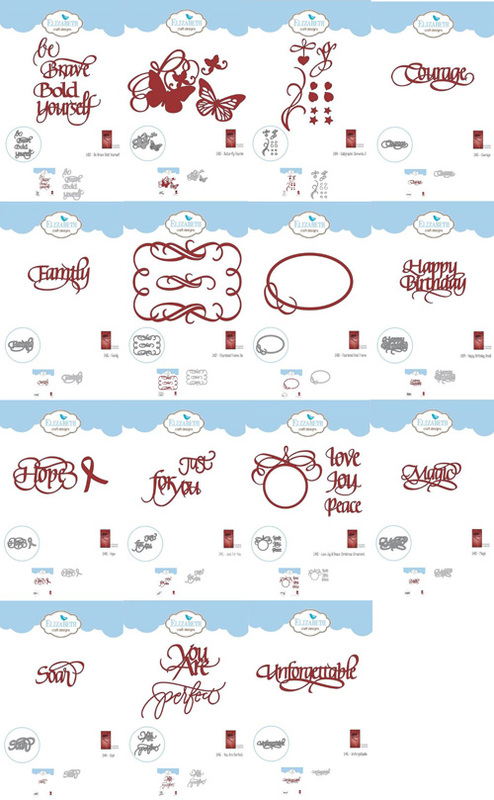 We now have *clear* Quietfire Design stamps! Elizabeth Craft Designs has produced six big beautiful sets that I know you're going to love. They are very cool! Just click on the image to read more about them in the What's New Department. How's that for lots of quotes and images? 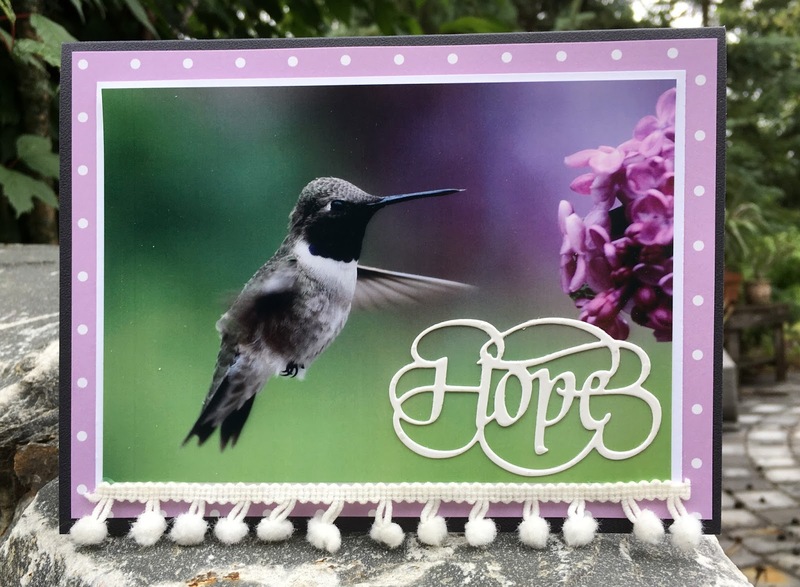 Now I'm handing this post over to Wanda who created this adorable card to share with you. Isn't this a super fantastic release. Wow!! So much good stuff!!! I'm using just a tiny bit of that "good stuff" on this card. On watercolor panel stamp "let your dreams" and butterflies with black ink. Run a line of artists tape across the panel just at the bottom edge of stamped words. Ink top of panel (area above tape) with Tumbled Glass using the blending tool. Keep the color darker around the edges fading near the butterflies. Color butterflies using Oxide ink and a water brush. 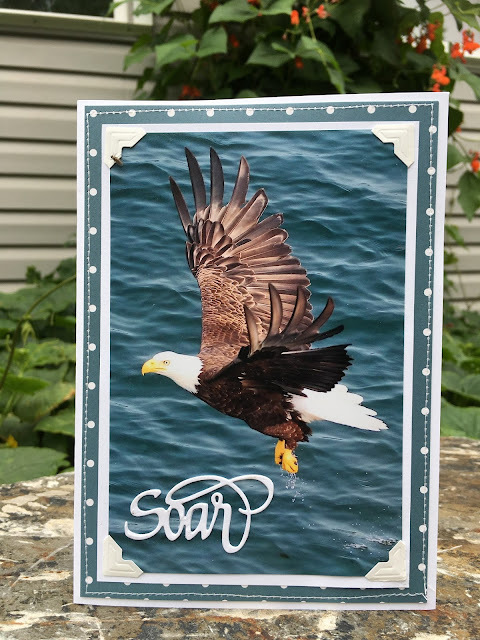 Die cut soar from white cardstock. Ink completely with Oxide, spray lightly with water, dry, add shading with Distress Picked Raspberry, attach to stamped panel. Splatter panel with oxide ink using the water brush. 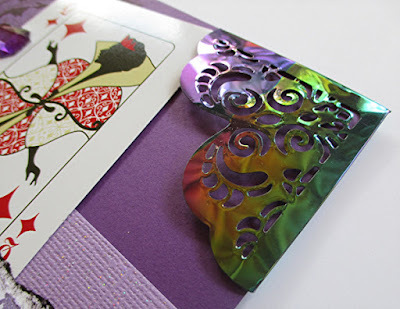 Attach panel to black cardstock and then folded white card. Thanks to Wanda for kicking off the celebrations! For experienced cardmakers: I think looking at the project photos and supply list will tell you everything you need to know. For new cardmakers: I’m providing a step-by-step tutorial to ensure your success! For all: I hope you have fun with this project and will vary the colors, switch things around, and make cards that are uniquely your own. 1. 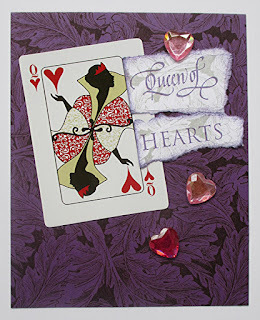 Take the four queens out of a deck of playing cards. 2. Choose a color palette that goes with the playing cards. 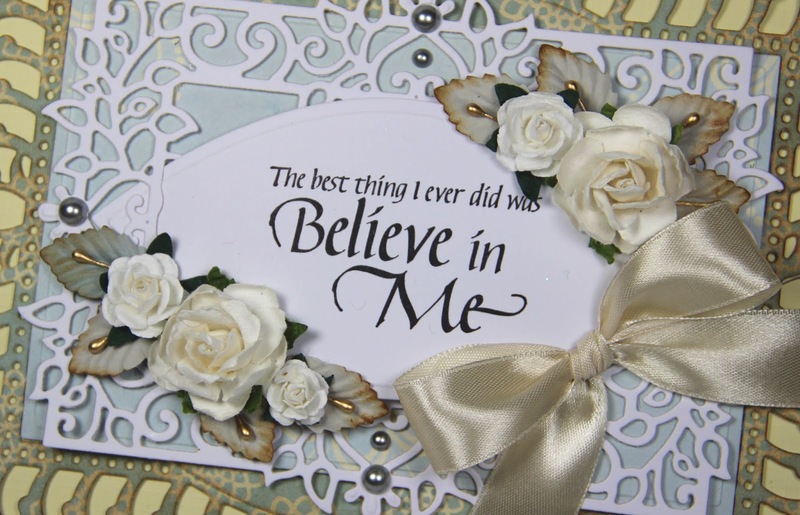 Gather assorted solid color cardstock, glittered papers, large adhesive-backed gems, faux watch faces, and other embellishments of choice that are within that palette. 3. 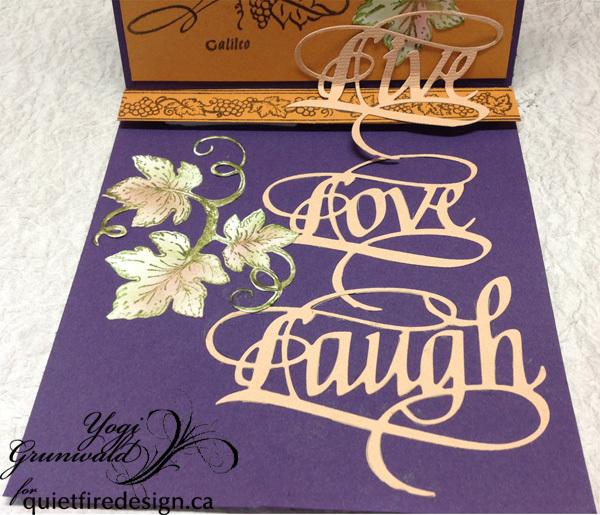 Stamp larger pieces of cardstock with the Leafy Acanthus Background. Stamp smaller pieces with the words. 4. Using the photos for layout ideas, tear, cut, layer, and adhere all stamped pieces. 5. 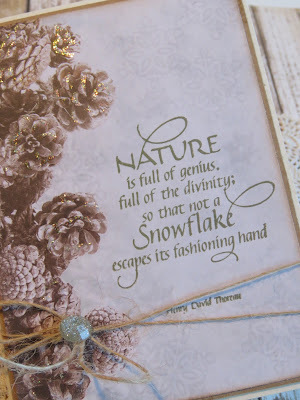 Add the embellishments to the card fronts. Instead of a full size playing card, find a mini deck so you can vary the size of the card, or make tags and Artist Trading Cards. Stamp in your art journal! 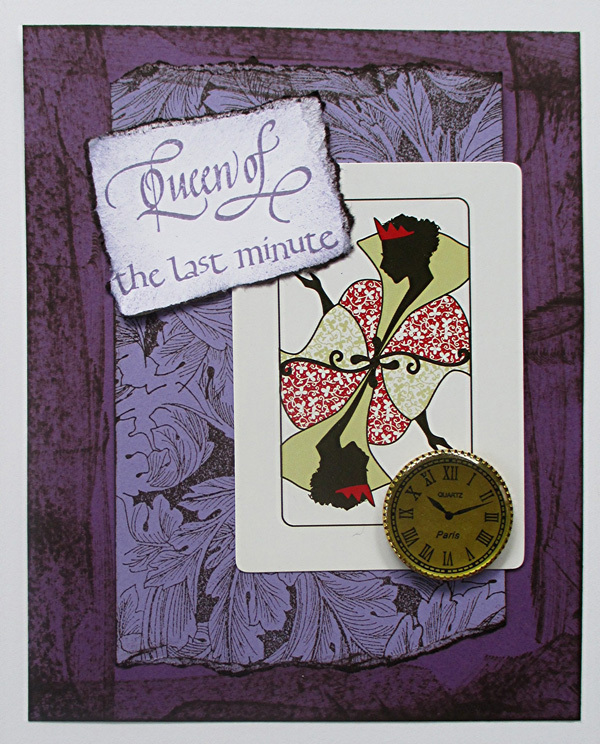 Instead of a real playing card, use a rubber stamp or embossing folder. That way you can make as many as you want and don’t have to stop at four. 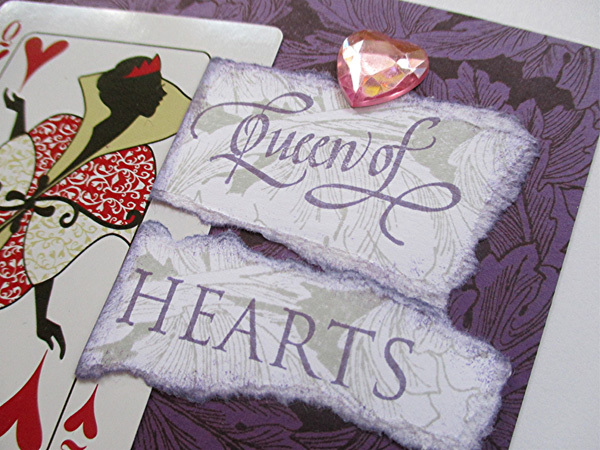 Incorporate a photo of someone who would like to be Queen of….Everything, way too much, the last minute, or hearts (Patti, this project has your name all over it!). Fussy cut the face and glue it to the playing card, or simply use a 2.5” x 3.5” photo and skip the playing card. Or perhaps the queen in your life is your cat or dog (Bree and Ulla, I’m talking about you two, my favorite poodles!). Use photos, rubber stamps – as shown, or freehand drawings.